Last year there was a concept model from Skoda that created a lot of buzz on the internet. It was the Skoda MissionL Concept car that was said to the be the base for next generation of Skoda cars and interestingly the pictures of the very first car based on MissionL Concept is out. Yesterday a couple of pictures surfaced the internet and the car that is in the picture is said to be the European model of Skoda Rapid sedan. 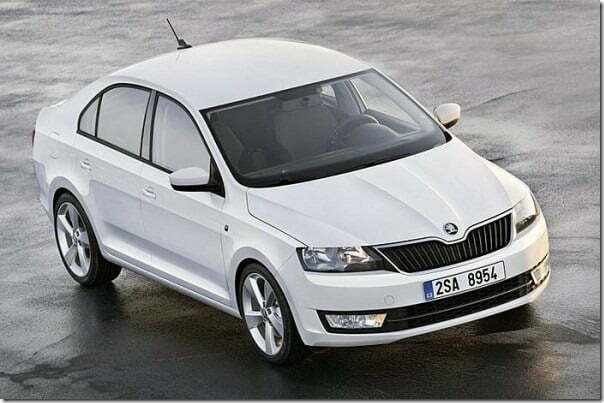 Now if you look at the pictures you will not believe that it is Skoda Rapid as the exteriors do not match by even a bit with the Indian model. 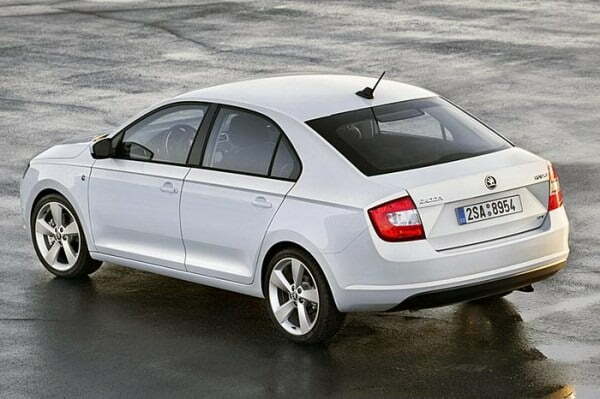 The European Skoda Rapid is completely refreshing and new and will be positioned between the Skoda Fabia hatchback and Skoda Octavia sedan. It will share its underpinnings with Seat Toledo, its sister sedan, which features the same technical specifications but has a different front fascia, to distinguish it with the Rapid. Since it is inspired by MissionL, the Euro spec Rapid features sharp body lines, sharp and sleek headlamps, a very aggressive and masculine built, clean bonnet with two character lines, a new Skoda badge which is placed on the hood just above the unique grille. Unlike the India Rapid, the Euro spec Rapid It is a lift back, which is a unique feature offered by Skoda only. Dimension wise it is 4.48m in length and 1.7m in width which compared to the Indian Rapid’s 4.38m length and 1.69m width. The European model offers loads of interior space and is spacious enough to accommodate 5 adults and their baggage. The car will be offered with 5 petrol and 2 diesel engines options. It is most likely to be showcased at the upcoming Paris Motor Show but the launch will happen by the end of 2012 only. 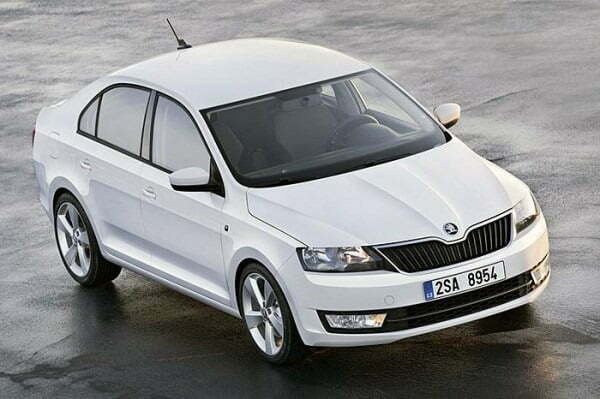 What is interesting to see is whether Skoda will launch this Euro spec Rapid as an Octavia replacement in India or not? We will keep you posted on the same, stay tuned for updates.